Dorothy Colton Blair was 93 when she passed away peacefully in her sleep on the morning of December 20, 2018. The most important things in Dottie's life were her children, her grandchildren, and her precious great grandchildren. Her amazing smile was brightest when she was with those she loved, family and dear friends. Dottie was born in Brea Ohio on Monday June 15, 1925. One of her earliest memories was taking longs walks, with her younger brother Walt, along the railroad tracks and sitting up on the overpass dangling her feet while watching trains pass by. A few years later, because of the Great Depression, she was sent away to live with her maternal Grandparents. She missed her mother terribly and although she loved Grandmother and Grandpa, that memory of the separation stayed with her. One thing that Dottie loved was being a Nurse. She graduated from St Luke's School for Nursing during World War II. During the 1950's, when most mothers stayed home with their children, Dottie was able to balance her nursing career while raising 4 young children by working the midnight (11-7) shift at San Fernando Hospital. When asked “Mom, when did you sleep?” she would reply “when you kids took naps”. Dottie had a sense of adventure. She enjoyed traveling all over the world and later sharing all that she experienced. At age 56 she decided to go back to college to take Journalism and other writing classes at Moorpark Junior College. When she was 61 she traveled by herself to the 100th year anniversary celebration of the Statue of Liberty. She loved sightseeing in Manhattan and taking in a few Broadway plays. All of this was a big step for someone, much less a woman, from her generation. She had another life change when she was divorced and moved to her cute little home in Palm Springs. Dottie blossomed and because she always wanted to learn Ballroom dancing she joined the local Arthur Murray Dance Studio, and even won the Bronze medal at a completion in Los Angeles. A few years later she remarried and moved to Manteca. There she made dear friends at her church and in her neighborhood. Although she moved away many years later she visited them often, even just a few months before she passed away. Dottie was proud of her perfect penmanship so one of her greatest life disappointments was when in 2001 she was diagnosed with Hydrocephalus (water on the brain) which caused her to permanently lose her fine motor skills. A shunt, to drain the fluid, was surgically placed and she regained most of her facilities but unfortunately, as years passed, a loss of balance and a series of falls gradually stole her independence. She moved from Independent Living to Assisted Living and then during her last 8 years she lived with her daughter in Florida and Solvang. Although her life had many obstacles her perseverance through adversity is a powerful lesson and part of her legacy. A legacy of not letting adversities or setbacks or any of the distractions of the world keep you from the most important aspect of life…loving and caring. Dottie's legacy came from her heart, to her eyes and outward with her radiant smile. 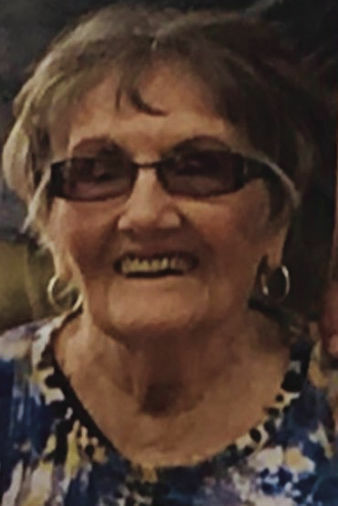 Dottie is survived by her 4 children, Karen Johnson (Greg), Solvang, Debi Winterhalder, Solvang, Lorri Bishop Skillearn (Michael), Portland, Oregon, Ray Hinton (Jeni), Thousand Oaks, 6 grandchildren, 6 great grandchildren, and 1 great-great grandchild, and her loving nieces. Dottie is interned in the Memorial Garden of her beloved St. Mark's-In-The-Valley, Episcopal Church, Los Olivos. Contributions in her name can be made to Visiting Nurse and Hospice Care of Santa Barbara or St. Mark's-In-The-Valley Episcopal Church. 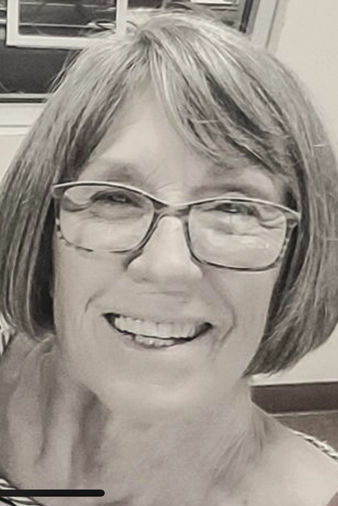 Linda Martin 68, of Figueroa Mountain, Ca passed away peacefully on March 21, 2019. Born June 22, 1950 in Florida, she was the daughter of the late Francis & Olivia Bumgartner. She is survived by her longtime mate of 30 years, Frank Chrisman, two children, James McNamara and Natalie McNamara both or Orcutt, Ca, grandchildren, Madison, Nate & Jake Bakke & Emma McNamara. Sisters Sharon & Connie and many nieces and nephews. A celebration of Linda will be held at 12 Noon on Friday April 12, 2019 at Loper Funeral Chapel, Ballard Country Church, 2465 Baseline Ave, Ballard, CA 93463.